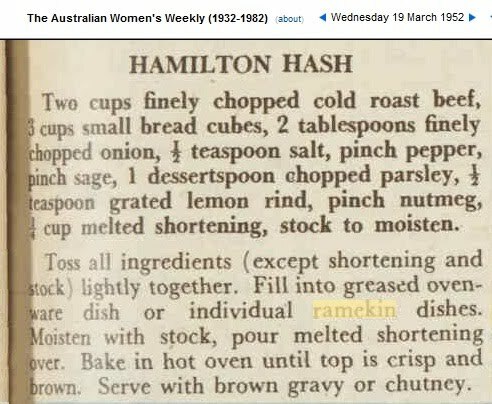 There have been a couple of people on the net who have been inspired by my blog to cook using their ramekins. 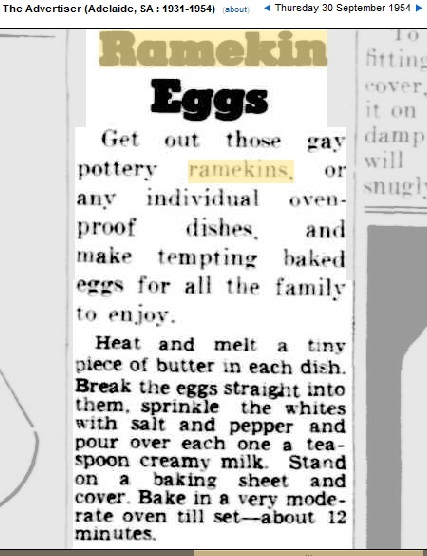 This is great to hear because that is what they were made for. 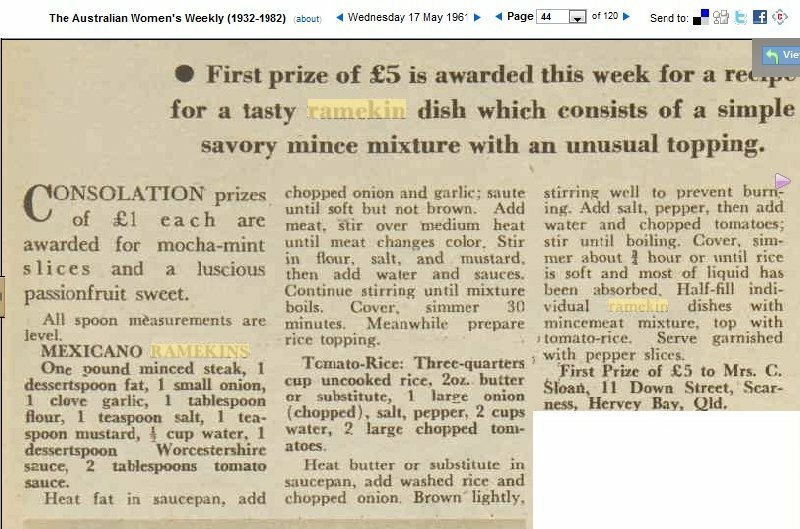 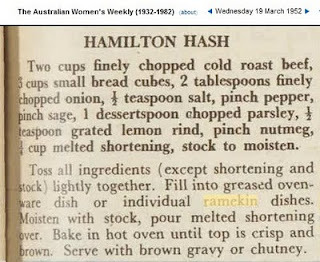 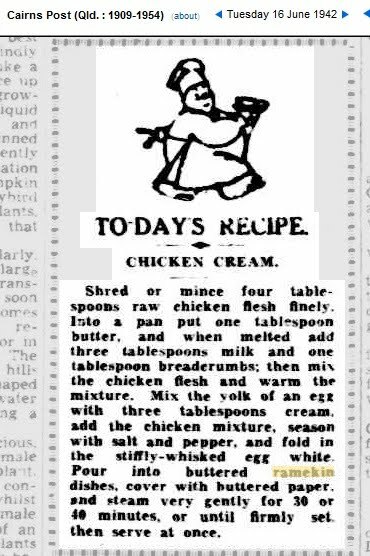 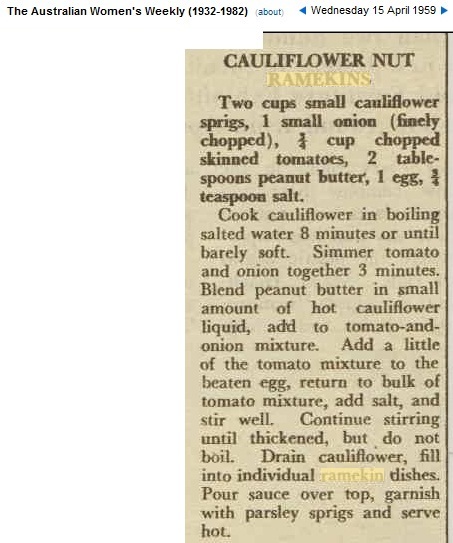 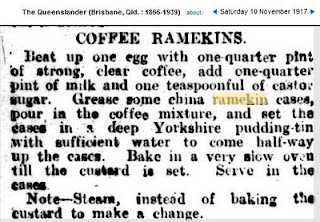 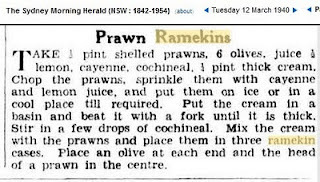 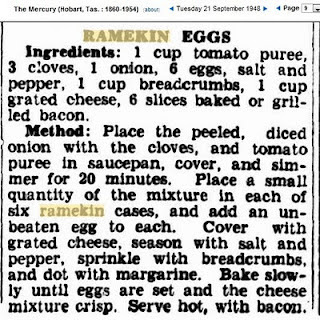 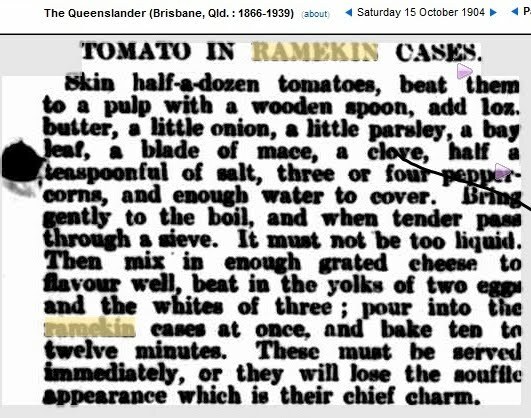 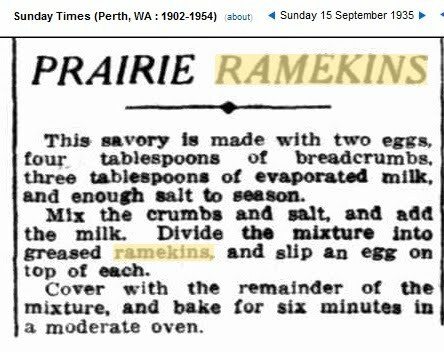 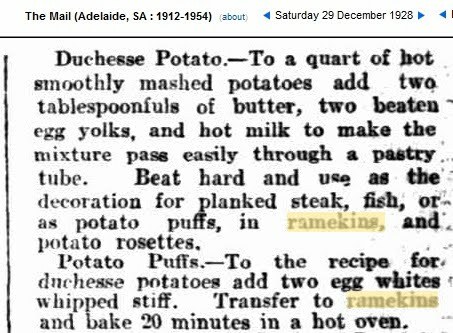 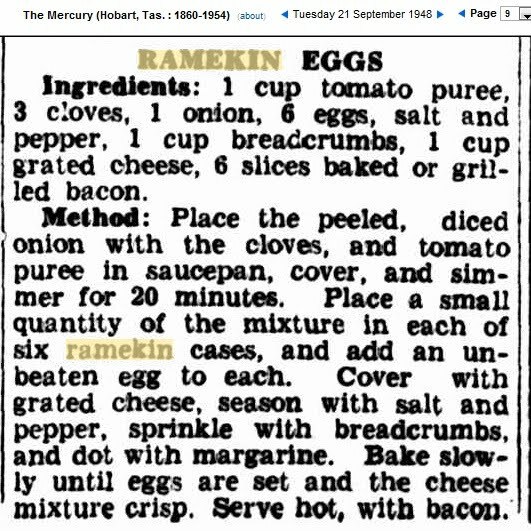 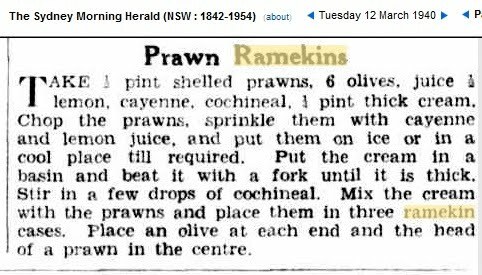 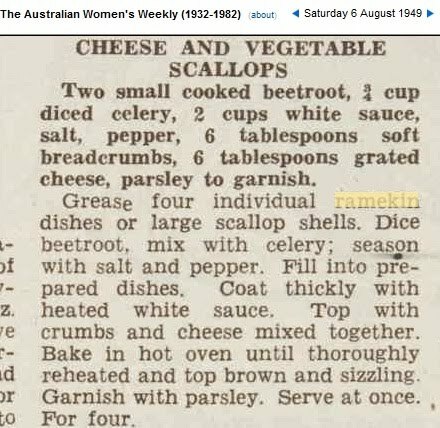 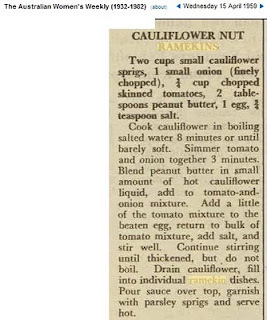 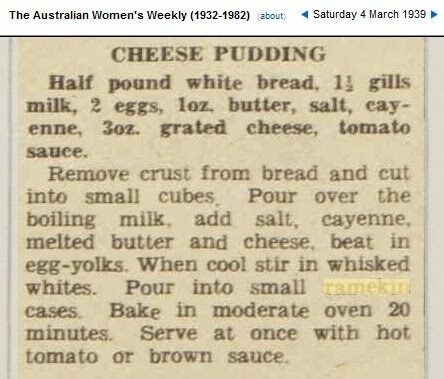 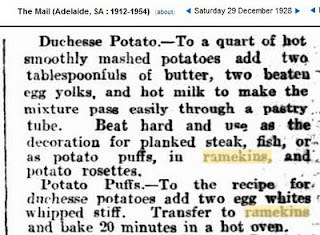 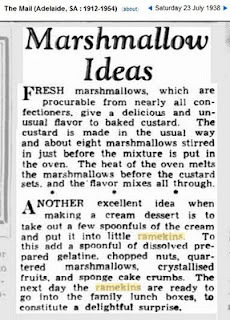 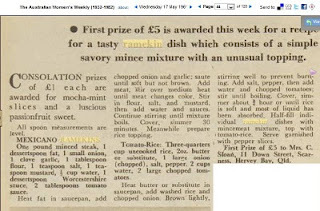 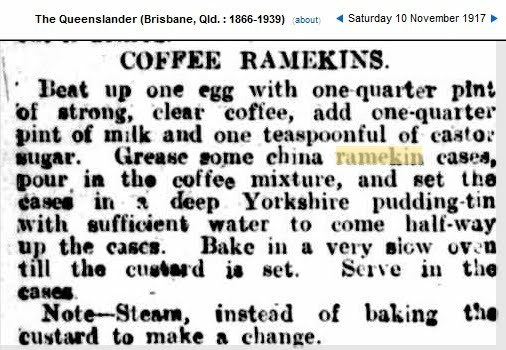 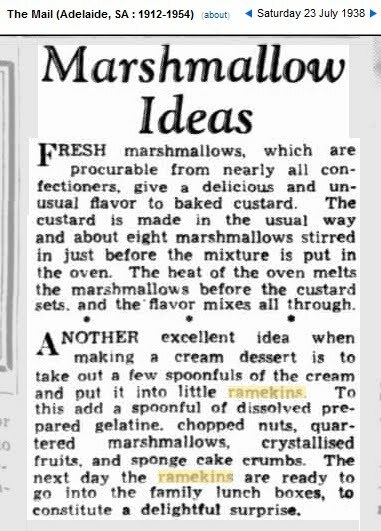 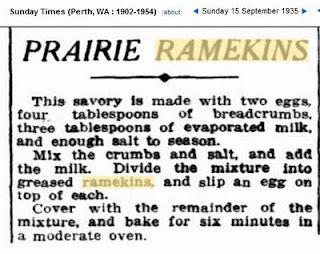 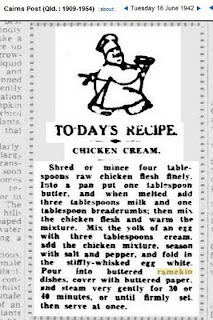 To help you along, I have trawled the newspaper archives in Australia to bring you a selection of recipes for ramekins from early to late 20th century. 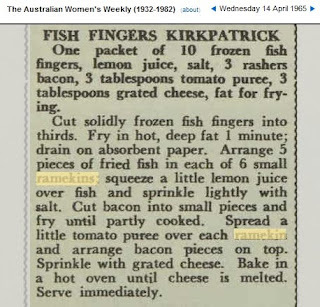 Please try them, there is something for everyone. 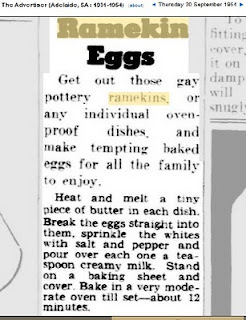 There are breakfast ideas, even something for the vegetarians. 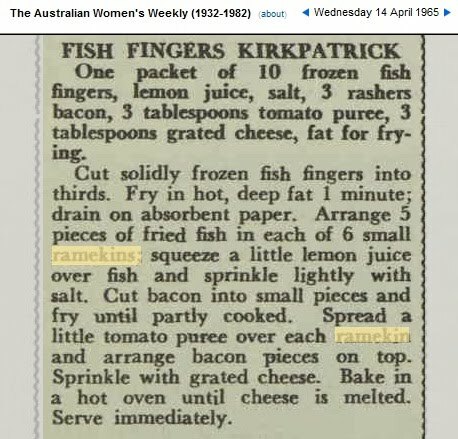 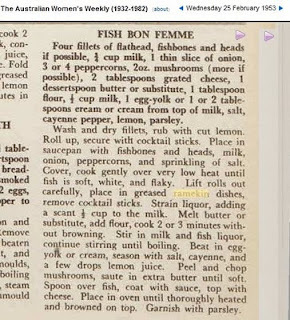 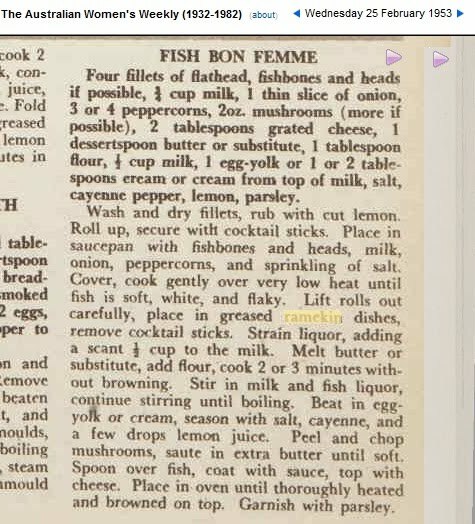 Fish and meat are represented as are deserts, known at the time in Australia as “Sweets.” There is even a recipe for those old singles favourites, fish fingers.